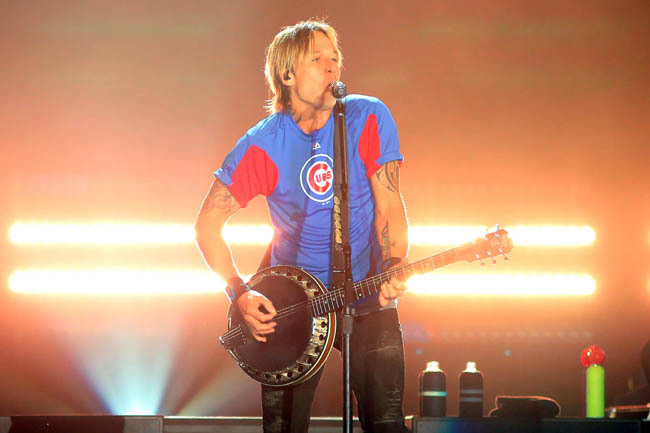 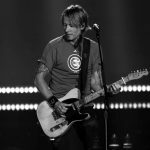 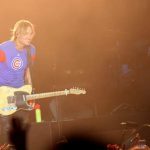 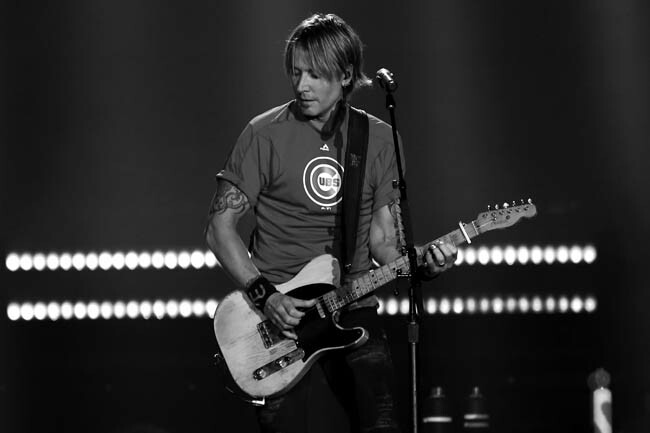 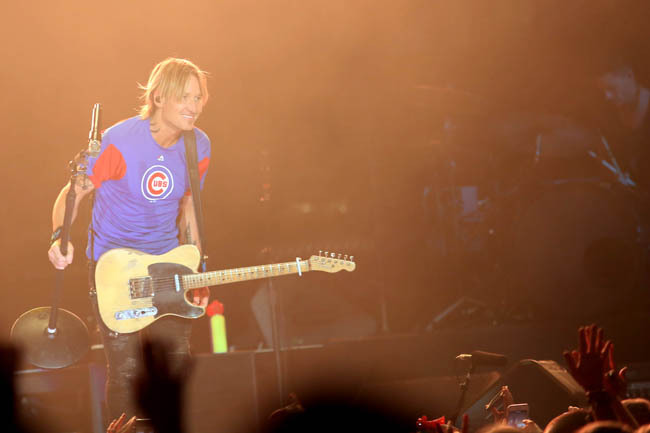 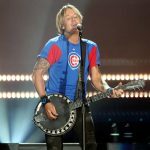 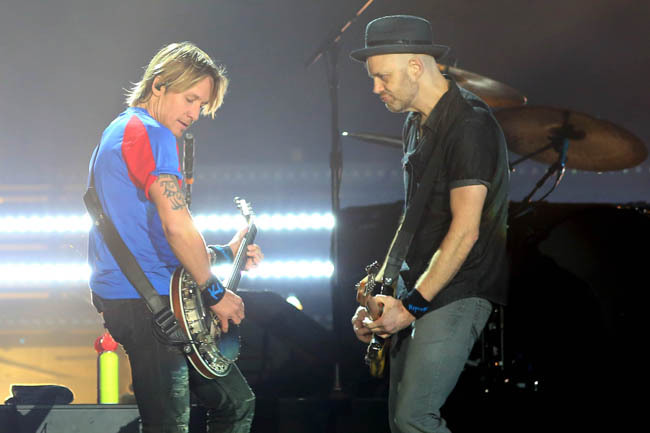 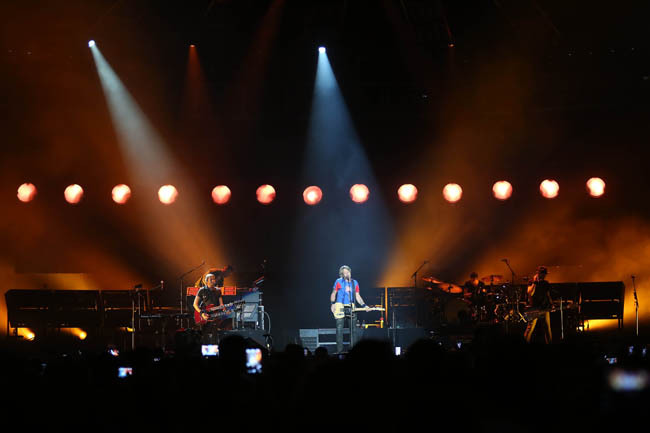 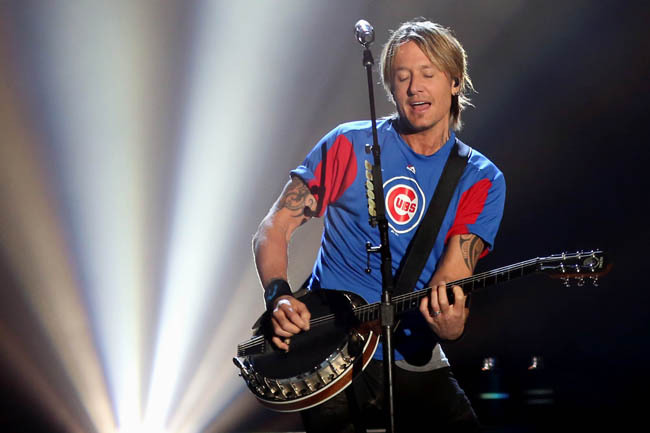 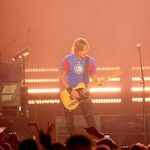 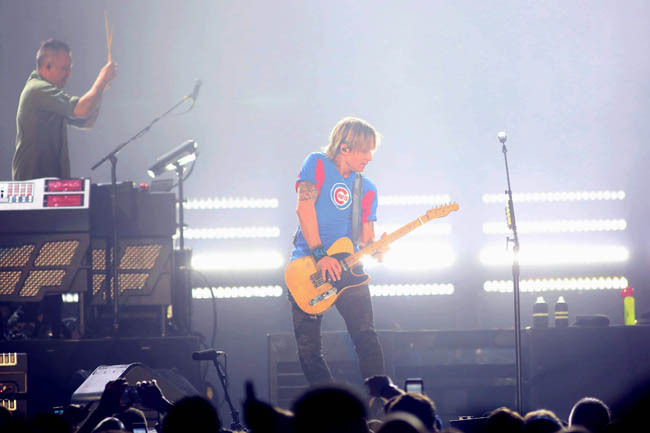 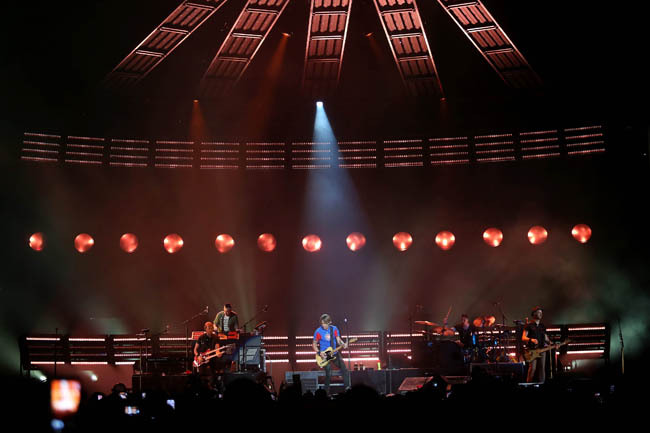 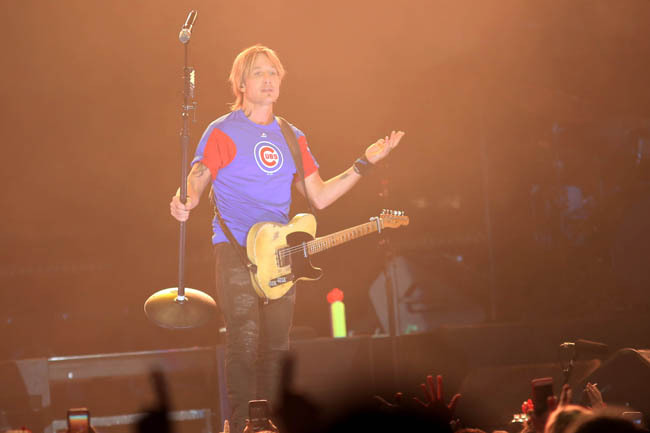 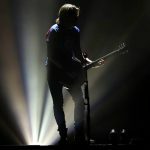 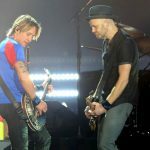 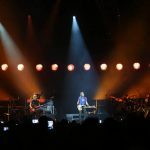 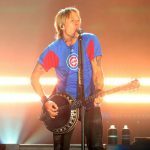 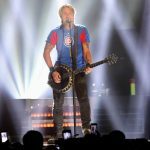 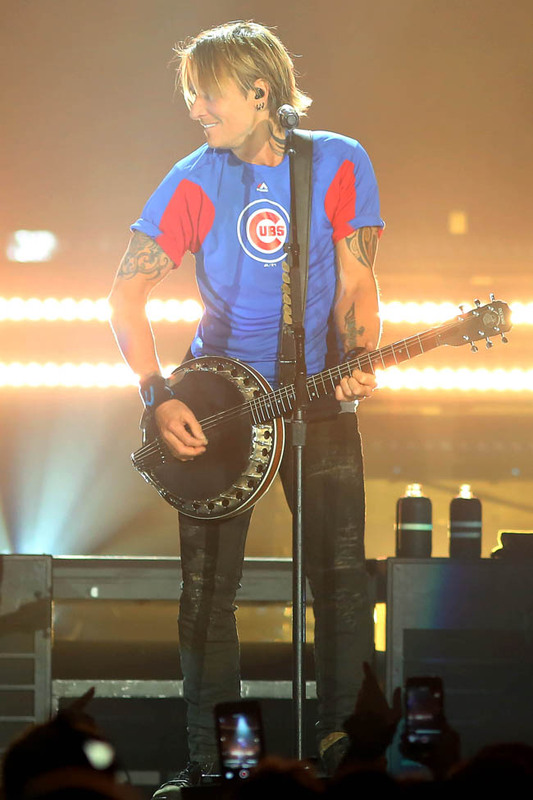 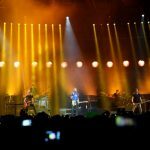 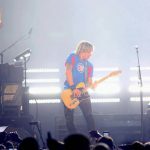 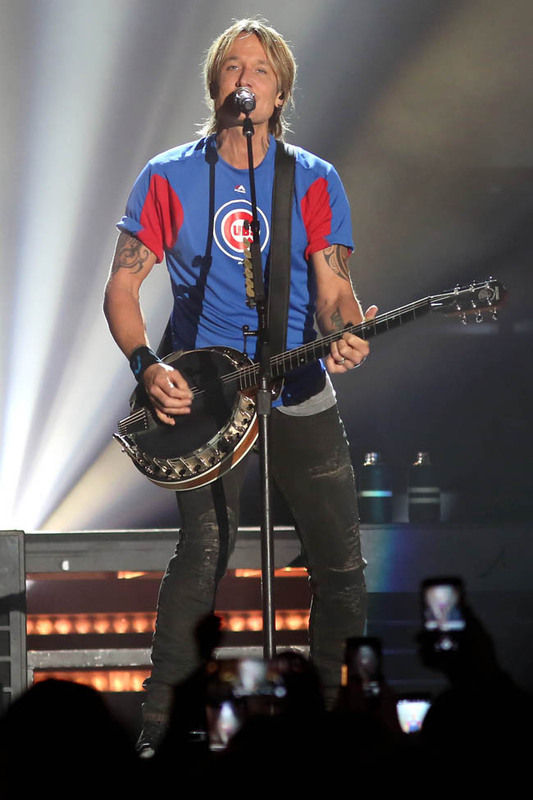 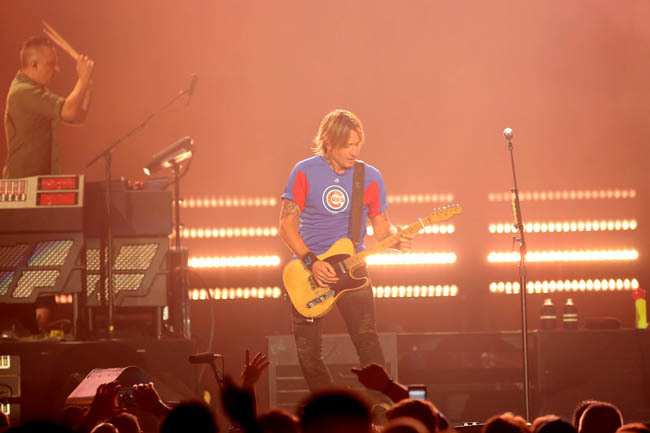 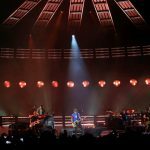 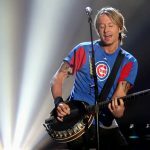 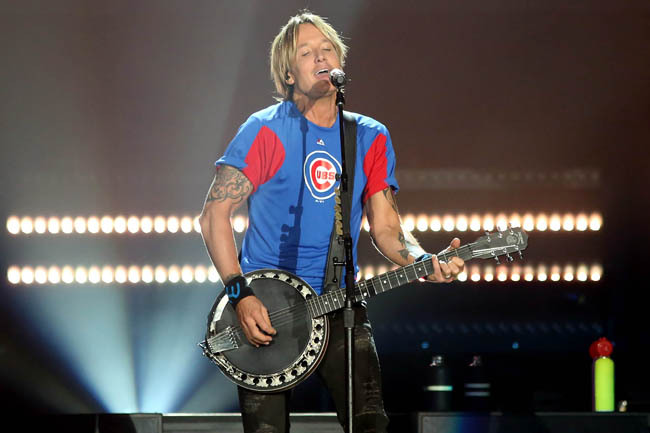 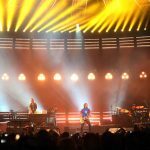 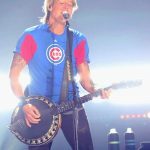 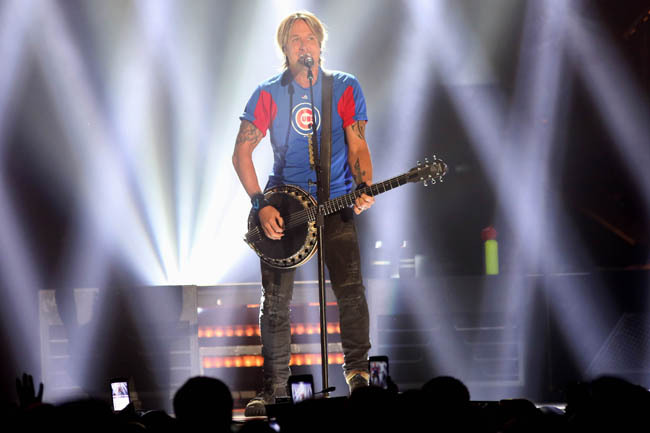 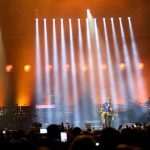 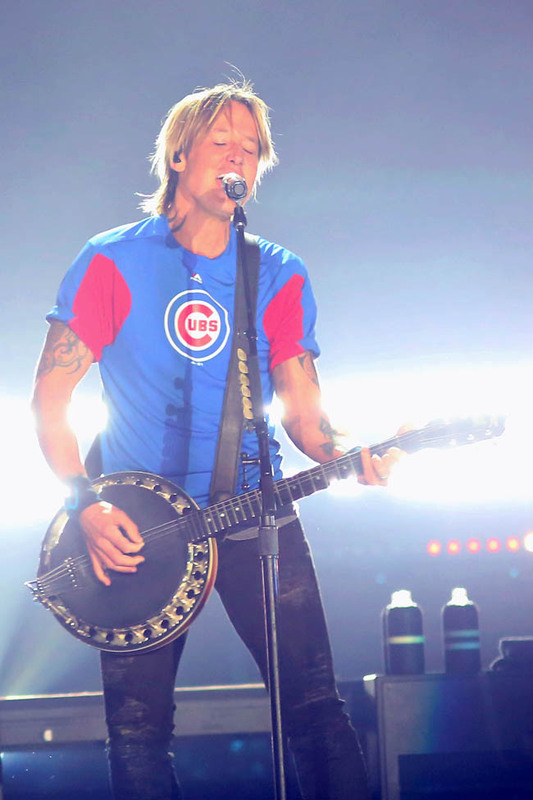 Not even the Chicago Cubs playing in the World Series could keep Keith Urban from selling out the Allstate Arena on Friday night, and outside of the few folks locked on the TV in the concourse, the Australian country hunk managed to keep more than 15,000 fans’ interest for most of two solid hours. 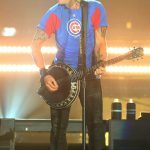 Perhaps it didn’t hurt that he flew “the W” with his shirt, lyric adjustments and shout-outs to the curse-breaking season, though pep rally notwithstanding, the singer/songwriter/guitar player also packed just the right balance between extremely polished showmanship and completely unscripted spontaneity. 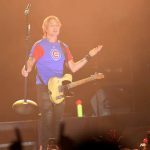 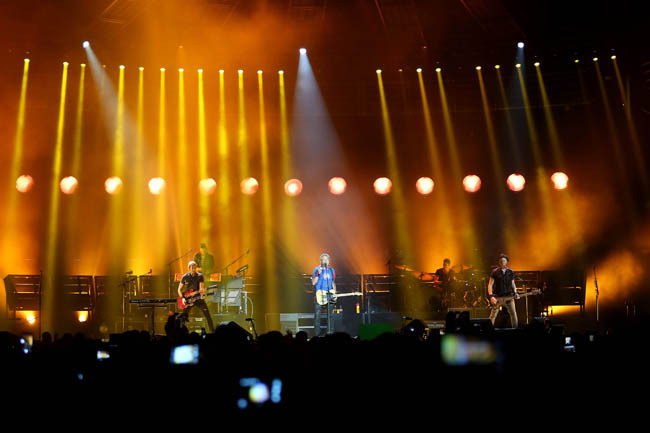 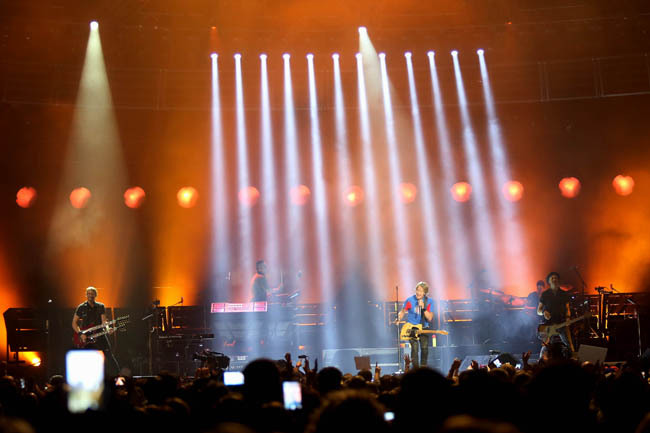 There were over ten trucks and at least half as many tour buses scattered throughout the parking lot responsible for a massive lighting rig and production, but Urban was quick to break down the fourth wall, whether it was calling a couple on stage to serenade them with “Making Memories Of Us” or making a brave walk throughout the crowd to a b-stage and giving a signed guitar to an unsuspecting little kid. 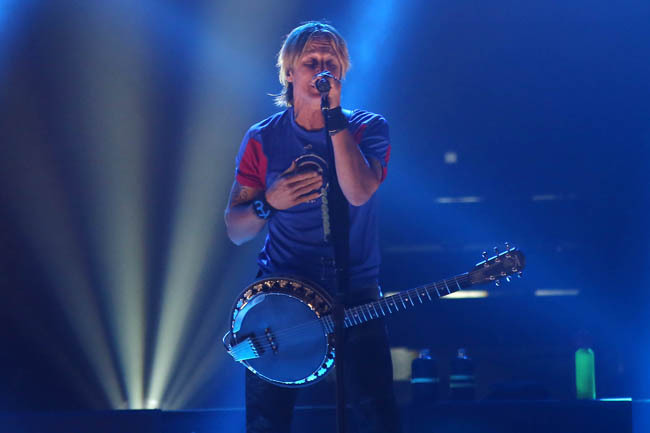 Yet for every feel good pleasantry, the one time “American Idol” judge made sure to back them all up with the exceptional guitar playing chops and the same smooth voice that have become staples in his infectious and fairly diverse body of work since the late ‘90s. 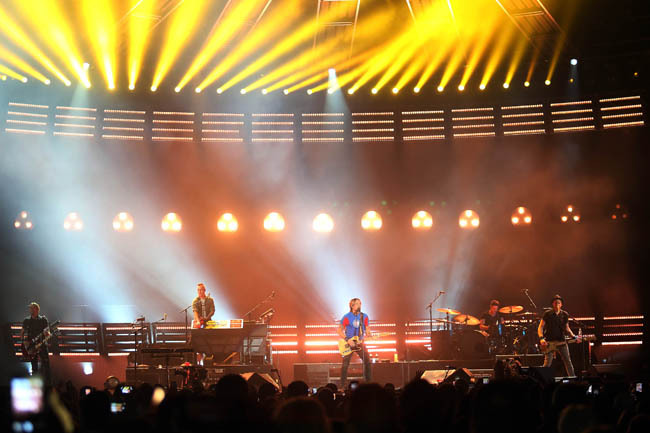 In terms of older tunes, Urban plowed through “Long Hot Summer,” “You Gonna Fly,” “Days Go By” and “You Look Good In My Shirt,” effortlessly getting everyone to join him as cell phones and beers shot up in the air. 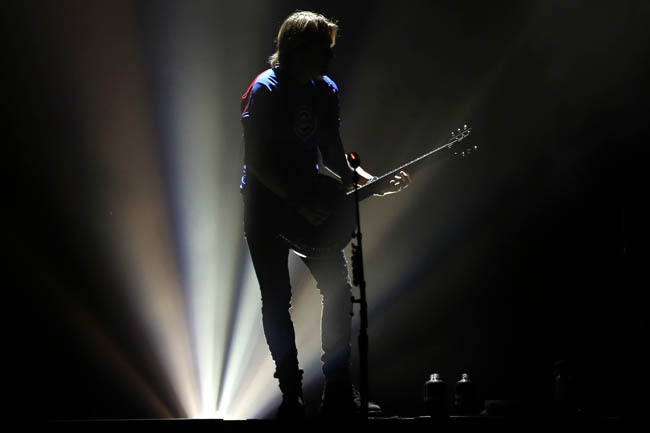 Although the material from the new Ripcord was just as catchy in its own right, not all of it garnered the same reaction, possibly stemming from the much slicker pop and slight hip-hop flavors that are still up for debate amongst the cowboy hat-wearing crowd. 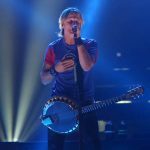 The initial closer “Wasted Time” was actually the most overt attempt at the dance floor, but the beats proved so unshakable, coupled with lyrics gleaned straight out of classic rock’s glory years, that it put the four time Grammy winner on the verge of his widest and most legitimate crossover to date. 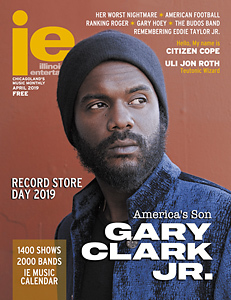 However, Urban never lost sight of his roots, returning for the pleading, post-break up ballad “Stupid Boy,” which once again made his mark as one of today’s more relatable, multi-faceted and all around affable artists, regardless of the radio station.